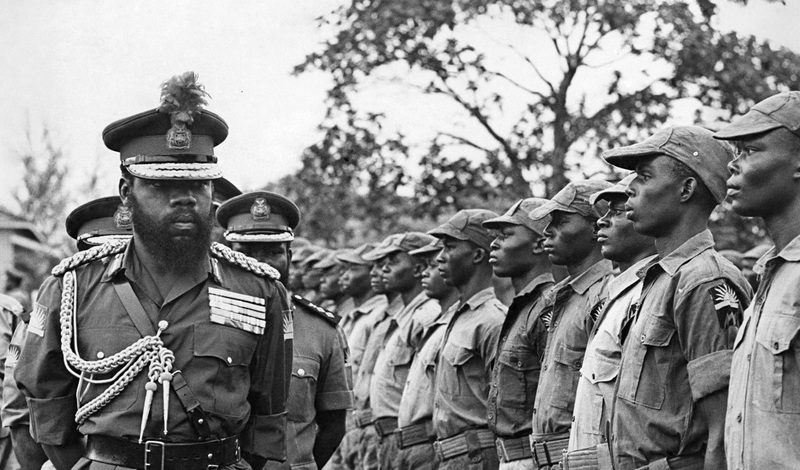 The immortal words of the separatist leader of the Republic of Biafra ring true today, exactly 47 years to the day Phillip Effiong, Ojukwu's right-hand man and temporary successor, announced the end of Nigeria's Civil War. Not all were pleased. 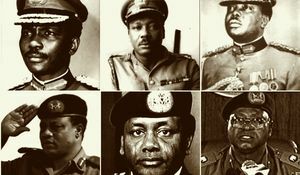 For many who had dedicated their lives to the Biafran struggle; to the independence of a people so convinced they were second class citizens in Nigeria, it was a bitter disappointment. 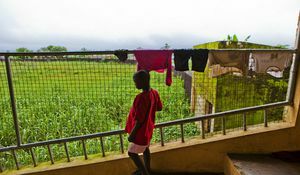 For the international community, it was the end of a humanitarian crisis which had taken lives apparently more precious to them than to the Nigerian state. For Yakubu Gowon, it was the end of a war that threatened the existence of the state he was determined to militarily govern. ‘No victor, no vanquished’, he announced – even as Obafemi Awolowo declared that all Igbos, irrespective of their pre-civil war financial assets, were only entitled to an equivalent of £20 at the time, to rebuild their lives. Forty-seven years later, some are still determined to stir up old fires. In a nation bereft of ethnic unity, calls for secession have been stirred up by the continuous detainment of Nnamdi Kanu, a Biafran activist and the leader of the Indigenous People of Biafra (IPOB). Many young Igbos taking to the streets of the South-East do so convinced that their woes are caused by the Federal Government and an entrenched Northern bias against Igbo prosperity, a belief they consider validated by the absence of an Igbo President. Prejudice, it seems, lies at the very centre of the Igbo narrative in modern day Nigeria. In the words of Chinua Achebe, “Nigerians of all other ethnic groups will probably achieve consensus on no other matter than their common resentment of the Igbo. They would all describe them as aggressive, arrogant and clannish. Most would add grasping and greedy”. Time and time again, the Igbo nation – a group combining both the ‘Ibos’ and 'Igbos', has been viewed as a secessionist group determined to take their own from Nigeria; a threat to unity. But this story is incomplete. The Igbos of the South-East are well known for their hard work, perseverance, business acumen, and ability to survive the harshest conditions. If anything, they represent the spirit of survival that has kept the nation together despite trying times under the most brutal military dictatorships. Secession is not the Igbo story. Arguably, secession is a recurrent state of Nigerian tribal identity. History shows us that the nation has always been plagued with attempts to break away. Fuelled by a belief that corruption is the result of our centralised government, there is a romanticisation of the regional governments that once existed in the Nation. Had the Igbos been successful with their demands for Biafra, the Odudua Republic may have become a reality for those in support of Ganiyu Adams’ Oudua People's Congress. And long before the Yorubas started clamouring for independence, the July 1966 counter-coup, code-named “Operation Araba”, was initially plotted as a secessionist move by the North in reaction to the January Boys 1966 coup. Self-independence has always been a potent theme for all other parts of the nation. It is as if people believe that if a Yoruba man ruled and controlled the Yoruba region – and likewise for the other regions, our problems would disappear. This counterfactual remains doubtful, if for no other reason that under the current federal structure, states are ruled by 'indigenes'. We already rule ourselves. Nevertheless, the idea reflects a strong socio-political theme in modern Nigeria; ethnic sovereignty. Since Nigeria's amalgamation in 1914, some regions continuously fuel the drive for a return to ethnic groups. At its most extreme, some believe that the only true identity is tribal identity, and therefore grievances against the state are manifested by calls for national identities built along ethnic lines. For those who believe in ethnic sovereignty, Nigeria remains a British concept; a mesh of different people forced to co-exist in a fragile environment. Indeed, for such believers, secession is not an act of treason against the nation-state, it is a patriotic act in favour of the state they believe they belong to. That being said, it is difficult to see how secession could realise these dreams. Take, for example, the belief by some supporters in the Movement for the Actualisation of the Sovereign State of Biafra (MASSOB) and IPOB that there is a ready carved out nation, representing the Eleven Provinces of Biafra, poised to embrace the Igbo vision of self-determination. This idea seems unchallenged even in its falsehood. For the uninformed Nigerian, the oil resources of the Niger Delta have always been the basis of the economic viability of any Biafran state. But the South-South minorities of today; Itsekiris, Ijaws, Ogonis, Urhobos, Calabaris, Edos, Efiks, Ibibios, Isokos and Opobos, revved up by a much stronger ethnic identity and belief in the Niger Delta as its own region, are not likely to fit back so compactly in the Biafran map that once claimed them. Major leaders of the Niger Delta movement such as Isaac Boro of the Ijaws and Ken Saro Wiwa of the Ogonis did not support the Biafran state. Most famously, Isaac Boro, the man credited with the revitalisation of the Ijaw movement and subsequently all other Niger Delta groups which have crippled the Nigerian economy, died as a Federal soldier fighting Biafran troops. Ken Saro-Wiwa, the writer whose death triggered Nigeria’s suspension from the Commonwealth, cast his lot with the Nigerian state when a decision needed to be made between Nigeria and Biafra. It appears that for the minorities in the region, the feeling Igbos had about being second class citizens in Nigeria, also resonate with them as second class citizens in a Biafran state. Today, tribalism remains strong, although arguably diluted. As regions become more interdependent, economic integration and development pose an opportunity for tribal clashes to subdue. Forty-seven years on, as we strive for unity, it is worth reflecting on the real benefits of continuous agitation for any form of secession. As the separatist leader Chukwuemeka Ojukwu once regrettably remarked ‘locked together and there you will stay’.